Marketing moves very quickly; trends come and go; new technology evolves and suddenly the way we approach promotion and advertising has changed almost completely. On what sometimes seems like a daily basis, another new trend or innovation comes along and the way we market to our target audiences changes again. Keeping up with the changes and new trends is not only advisable, it is usually critical to success. However, evolving with the times doesn’t necessarily mean abandoning previous ideas that have a proven track record. 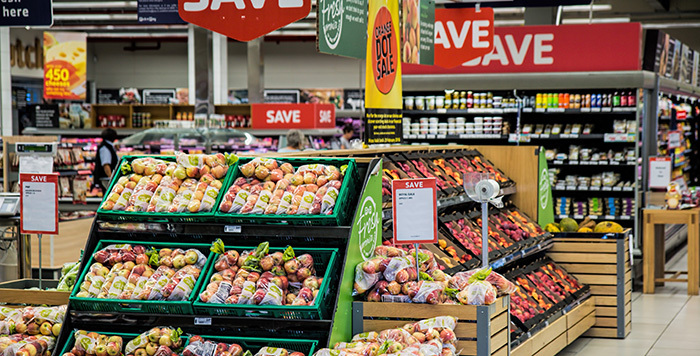 For example, although the media and techniques may have changed the principles behind POP in-store advertising and promotion are essentially the same. We’re all familiar with the “impulse buy”,we see that beautifullifestyle image promoting a new shampoo and we are hooked. Or that moment at the cash register as you wait to pay for your groceries and realize you just can’t go on without the latest issue of Vanity Fair and a package of the latest re-invention of chewing gum. Now, do we really need that shampoo to survive or that last-minute purchase? Not likely but it certainly seems that way in the moment. And “moment” is the key word – realistically that is the length of time that we have to convince someone to indulge that impulse.That impulse, that momentary whim, is responsible for 50% of all purchasing choices. And that impulse is stronger of course during in-person retail visits than online. So clearly POP advertising and promotional visuals need to tap into the strength of that impulse. Not only do in-store visuals influence that moment of impulse, every POP banner or sign is placed based on evidence proving that this will help to harness that impulse power and help your product be the one that is chosen. There is a science to this; the right image, the right message, the correct placement and the most advantageous rotation of product and messages to avoid the display becoming too familiar. There are proven reasons for every colour choice, font choice, image theme and copy choice. The right POP signage and display is critical for retail businesses. With a myriad of stores to choose from all full of an overwhelming amount of product, this is how your product, your brand can stand out. An effective display that incorporates the science behind consumer trends will have a huge impact on the already significant impulse buying category. That is why companies bring so much awareness to the display and positioning of products. What suits the product and uses the science? Interactive displays, lifestyle images, contest promotions, a give-away, BOGO or product with purchase? The options are endless. The common factor is eye-catching design and imaging to establish your promotion. There are many ideas, media, trends and facts to consider and we can help – our full suite of services ranges from design to production, fabrication and installation. Our veteran staff has many years of retail POP experience. We are here to help you maximize your product’s success in the marketplace.